Elite Fitness Can Help You Excel! Elite Fitness and Performance provides a wide range of training types and programs to fit virtually any individual or group. We offer functional fitness training for small groups and individuals, TRX strength sessions, corrective exercise, core training, cardio and metabolic conditioning sessions, functional movement screening, and programs for athletic development. Since Elite Fitness and Performance programs are customized based on the needs of the individual, small group or team please Contact us to go over your specific needs. One thing I have learned through the years of being a trainer is that if you are not assessing your guessing. By guessing I mean applying textbook training principles to de-conditioned bodies or bodies out of balance. I use to say that if your over age 35 and sit for long periods of time, your body is or has began to break down, and you will start experiencing some type of postural related problems. The game has changed and this not only applies to the over 35 population but to people much younger. 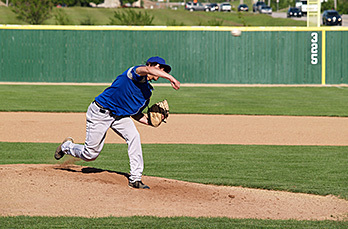 Many of our kids and athletes exhibit the same postural problems that will eventually lead to injury. So just working out will not cut it anymore, you have to TRAIN SMART! The assessment allows us to screen clients before they begin a group training session, athlete development session, personal training session or TRX Session. This process is extremely informative and helps us place you in the appropriate type of training program and with the right trainer to help meet your needs. We currently use the FUNCTIONAL MOVEMENT SCREEN and NASM SCREEN. Personal Training and Corrective Exercise: We offer private training sessions for all ages and abilities. Many of our group training clients started out with corrective exercise or private training session. These sessions are great for people who need a personalized program, which will help them restore proper posture and get them back in shape. We have experience working with clients with low back issues, hip and knee issues, weak cores, poor flexibility, poor posture, weight loss, as well as general fitness and sports performance. Our personal training techniques help to restore posture, balance, flexibility, and strength to an aging population. We have worked closely with local Physical therapist and Chiropractors to help get you the best care possible and get you back in shape and functioning optimally. Functional Strength Training: This type of training encompasses multiple planes of motion and strengthens the body in various patterns of movement to mimic real life movements of sports and daily activities. Benefits of Functional Strength Training include: improved posture, muscle balance, decreased risk of injury, improved athletic performance, enhanced movement efficiency, improved dynamic and static balance and so much more. Shred fat and gain functional strength through the use of tools such as TRX, MYOFORCE, kettlebells, med balls, mini bands, dumbbells, and sand bags. These session are taught in different private and group training formats to get results, and be creative and fun for our clients. 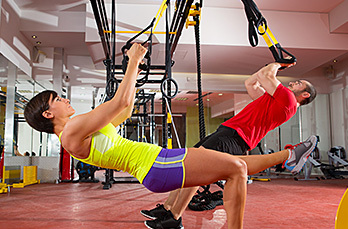 TRX - TRX + Suspension Training: is a fresh approach to exercise that leverages one's own bodyweight and the force of gravity, to challenge your body in multiple planes of movement at one time. This session is designed to develop: strength, balance, flexibility, endurance, coordination, and core stability, all simultaneously. Thus your work is performed in a way that simulates daily activities, and allows you to control resistance levels. Our trainers make each session different, and will modify per individual needs. Core Fit 1, 2 & 3: This session is great for beginners as well as athletic-minded people who train hard on a regular basis. It's the TRAIN SMART part of our programming. There are 3 levels to Core Fit. Level 1 is about getting the body ready to do work. Level 2 is working on lots of mobility and stability and starting to incorporate basic strength exercises into the program. Level 3 is where fitness starts to come together and the results of training really start to show. We can assess you to determine which core fit session is right for you. Our methodology for teaching this session is multi-faceted. We incorporate foam rolling for tissue work, multiple dynamic flexibility programs for mobility and flexibility, we then integrate core, hip and shoulder stability exercises. This programming is designed to build a great foundation, one that improves posture, decreases pain, and increases a person's ability to do more work. For the more advanced athlete who TRAINS HARD on a regular basis, this is a great way to recover from 2-3 hard workouts in a row. It helps prepare your body for that next intense session. This is something you can drop in for from time to time, or something you can sign up for on a regular basis to commit to getting your body back in shape. For the beginner we recommend about 10-12 continuous weeks of CORE FIT programming to help you build a sturdy foundation. Sports Conditioning Sessions are designed with the individual or the group/team in mind. All sessions begin with a Functional Movement Screen and NASM Screen. Then we assess the athlete based on their goals and sport. We specialize in helping young athletes learn how to TRAIN HARD, TRAIN SMART, and EAT RIGHT for their sport. We follow principles and training guidelines from IYCA (International Youth Sports Conditioning Association) as well as NSCA (National Strength and Conditioning Association), and FMS (Functional Movement Systems). We have worked with hundreds of young Middle school and High school Athletes, some Collegiate Athletes, and a few Professional Athletes. Please call or email us to discuss how we can best design and facilitate your strength and conditioning program. We also offer summer sports conditioning programs for individuals and teams. Please see our Athlete Development Page for more details. Please contact us to schedule your assessment today.